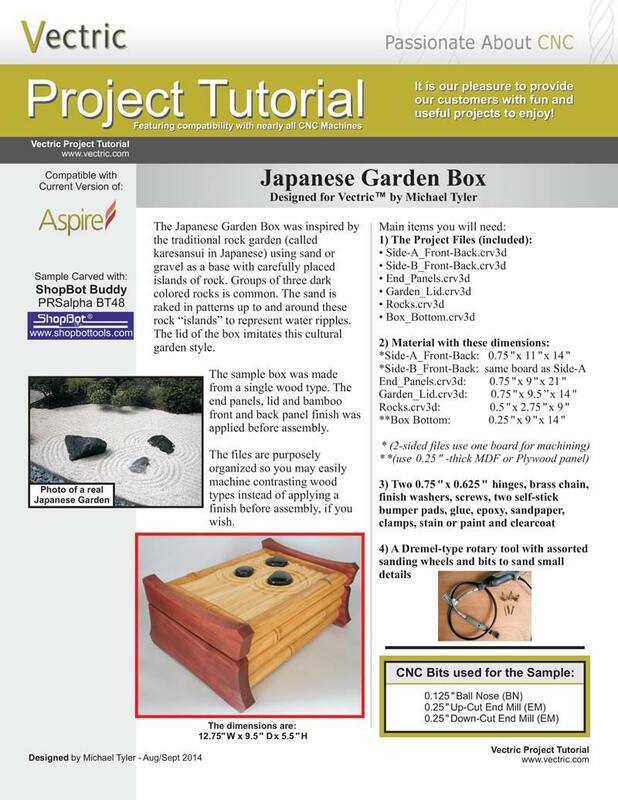 The Japanese Garden Box was inspired by the traditional rock garden (called karesansui in Japanese) using sand or gravel as a base with carefully placed islands of rock. The sand is raked in patterns up to and around these rock "islands"to represent water ripples. The lid of the box imitates this cultural garden style. The sample box is made from a single wood type. The end panels, lid and bamboo front and back panel finish was applied before assembly.